Good morning love birds! The sun was rising really early this morning, and that was super exciting for me because that means spring is right around the corner and THEN ANDREW WILL BE BACK IN CANADA!!!! 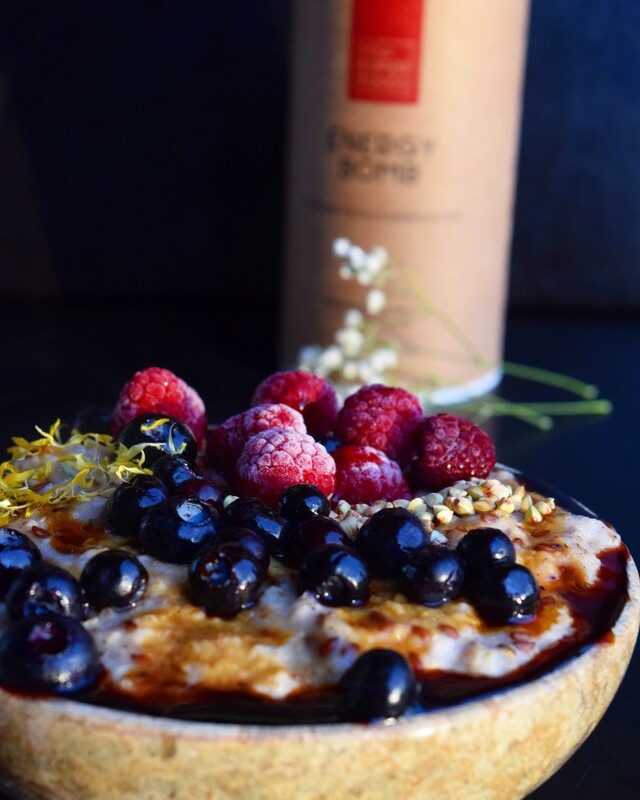 So this morning I want to talk to you guys about this really amazing product Ive had the liberty of trying, specifically the Energy Bomb by Your SuperFoods (@yoursuperfoods). 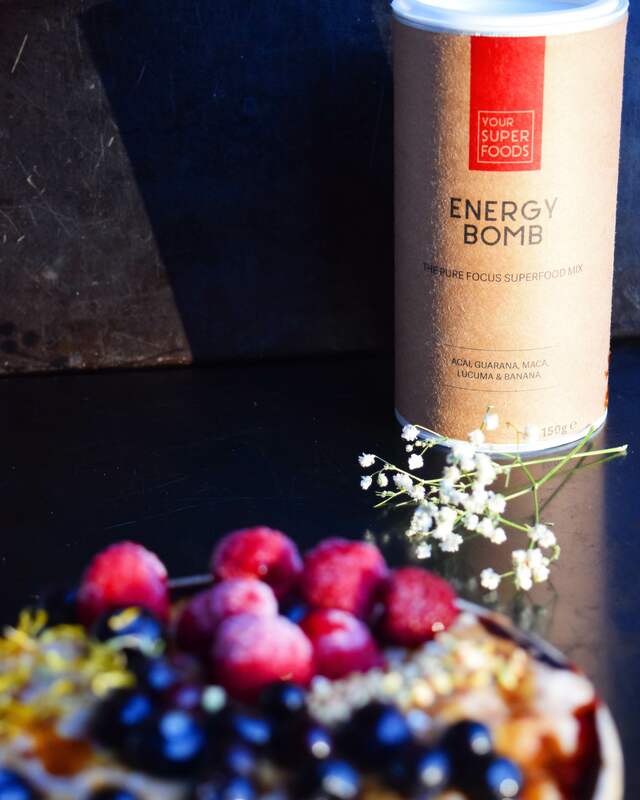 “The Energy Bomb is the healthiest and most delicious source of antioxidants and natural caffein that will help you focus and boost your energy for 6-8 hours. 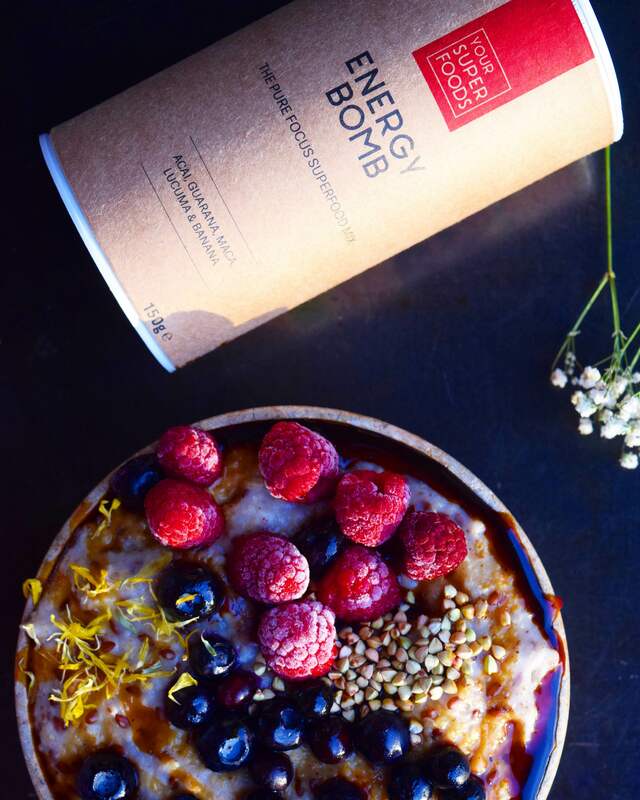 Energy Bomb superfood powder is an excellent source of antioxidants (ORAC 16500 μmol TE) and caffeine (39mg/5g). 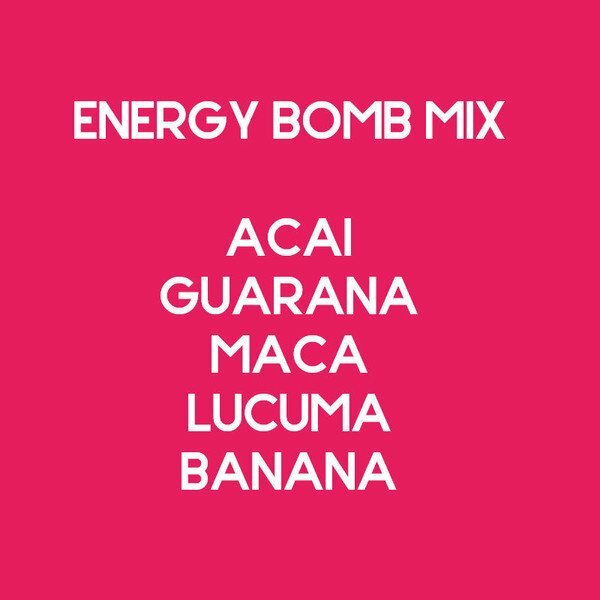 The mix is high in vitamins and minerals, such as Vitamin A, Calcium, Iron, Potassium and Zinc. Improves metabolism, neurotransmission, cognitive function and reduce tiredness and fatigue. As mentioned above it can be added so easily to raw treats, smoothies, yogurts, juices…. and the list goes on. 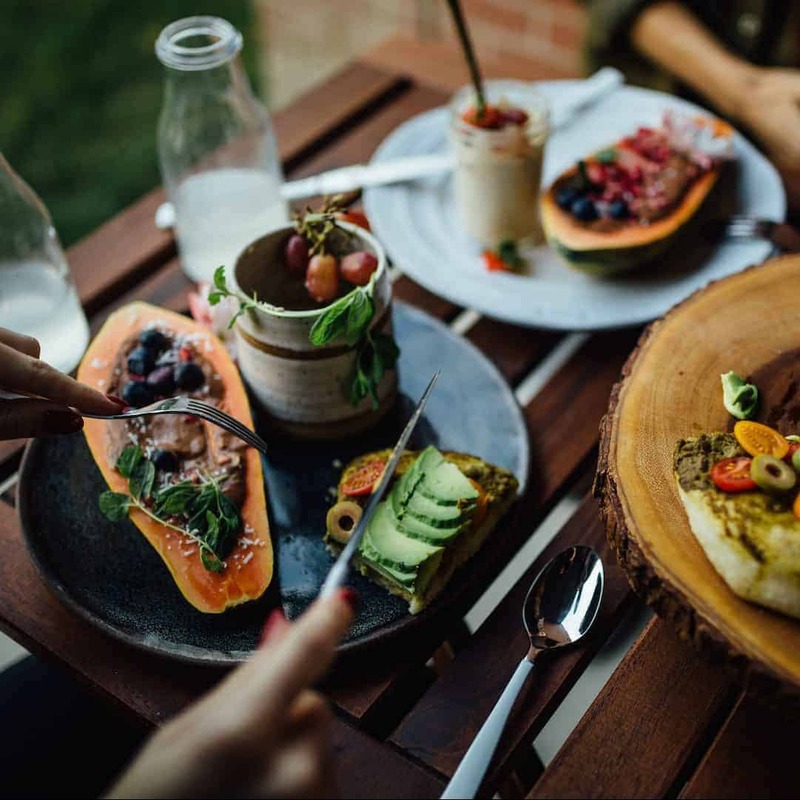 Super good source of nutrients, and really odes help get your blood flowing and ready to tackle your day! 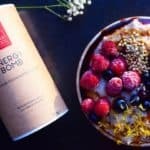 I really hope you enjoy this simple, and nourishing breakfast recipe, it is one of my favorites and such a good base for even greater breakfasts! 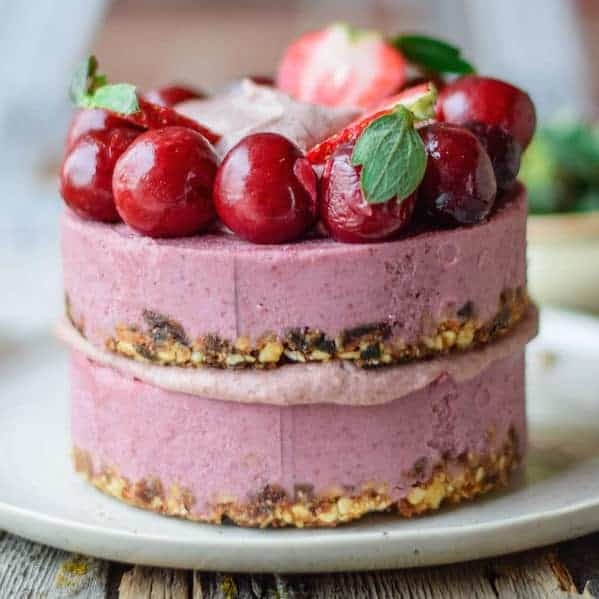 Happy Saturday everyone… its recipe creating time for me soon! Into a medium sized sauce pan add all the ingridients for the oats, and cook on low heat for about 7 minutes, or until nice and creamy! 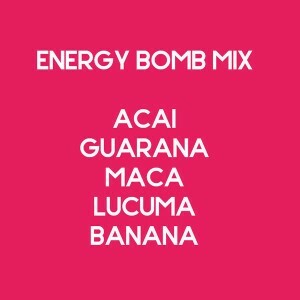 Now let your oats cool for a couple of minutes, and mix in the ENERGY BOMB and stir well till it is completely combined. 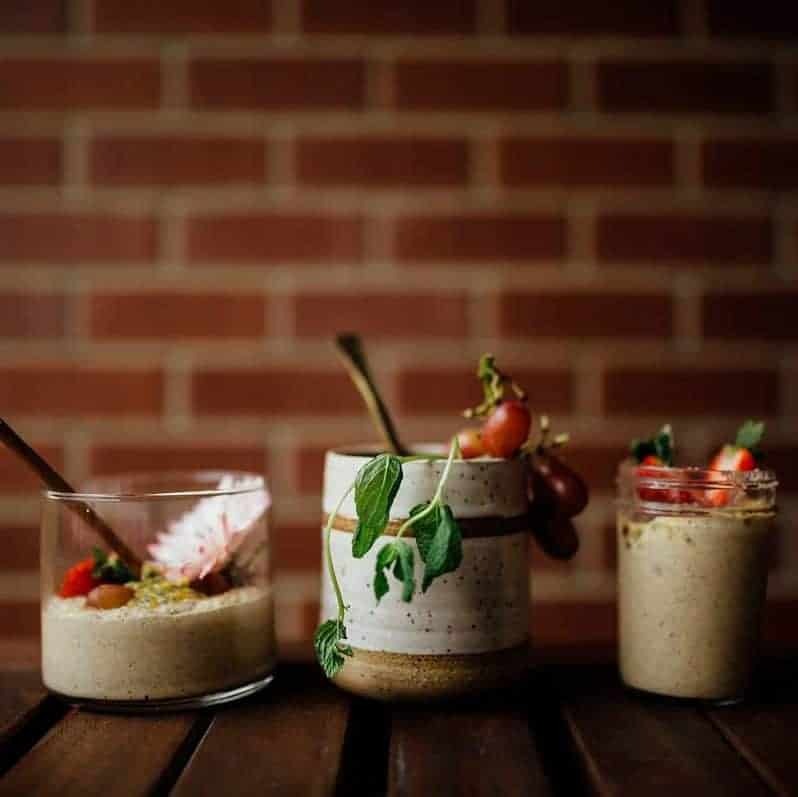 Add your toppings (be creative, and change it up)… I sometimes like to mash a banana in the bottom of the bowl before adding the oats to it, adds a little something something! Enjoy right away, or cold.